Snuggled cozily at the foothills of the enchanting Blue Mountains, Bandipur Safari Lodge opens up to a world of exotic and serene rustic beauty. Set in the lap of the mystical woods, Bandipur Safari Lodge comprises of 10 special and 12 regular cottages which together accommodate 60 guests in a naturally calming ambiance overlooking jungle-covered hillsides to provide the perfect holiday destinations. The cottages are artfully crafted with natural building materials that complement the terrain and are presented with a contemporary twist, to transform your stay into cherished memories. World-class cuisine is served according to the palate of Indian and foreign taste buds. Are you game for an exciting wilderness watch? Jeep safari offers splendid opportunities to spot various animals and birds in their natural habitat. You can bird watch in this magical jungle as you are welcomed with a fresh path of nature that leads you to blissful moments. Enjoy the nights with sumptuous dinner, campfire and watching a wildlife movie aired in the conference room. Escaping from your daily life on a relaxing gateway doesn’t have to mean taking a break from the green life. 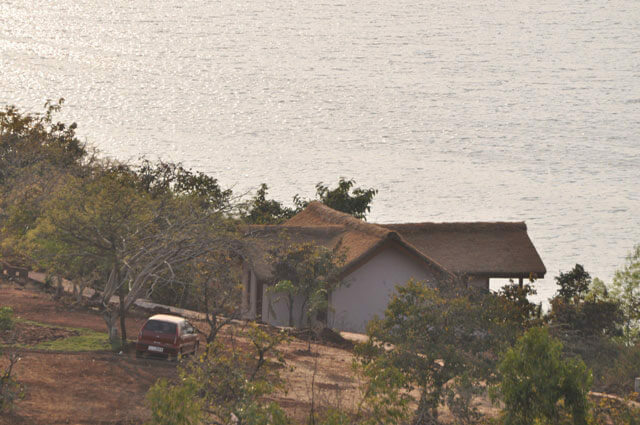 Do you want to get away from the mundane city life and unwind yourself in the lap of nature? Then this comfy Jungle Resort is the one you should be heading to! A tranquil environment in the backdrop of the Nilgiri Hills, it is an ideal getaway place to satiate the hunger of every adventure loving souls. 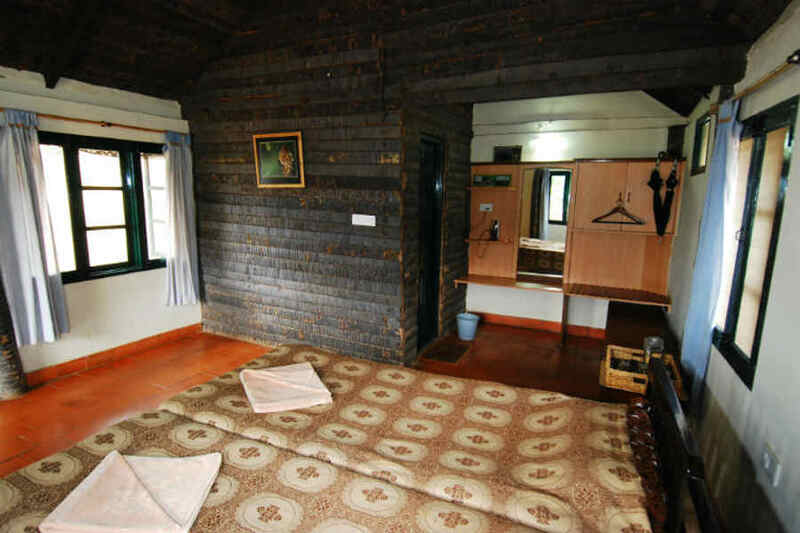 A green retreat for the eyes and soul of the city dwellers, this quaint mountain lodge offers different activities like jeep safaris, a trek to the nearby waterfalls, bird watching and much more. The tents at the campsite are weatherproof and give you a rustic ambiance and comfort all at once. This Comfy Jungle Resort at Bokkapuram has its own indoor-outdoor restaurant that lets you taste mouth-watering cuisines enjoying the scenic wilderness, offering both vegetarian and non-vegetarian dishes. This resort is a perfect pick for those who are looking for a blend of wilderness in the luxury category of accommodations. 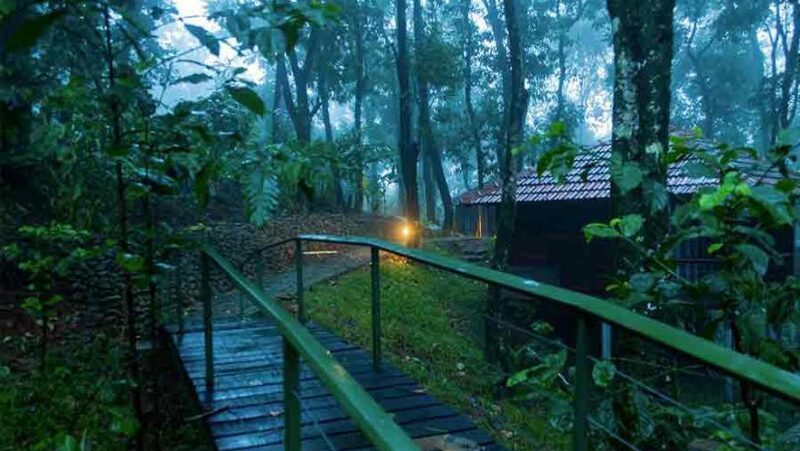 This adventure camp situated at BR Hills (Biligirirangana Hills) in Karnataka is a true jungle adventure complete with tree houses (where you can play the Tarzan) and tree-top lodges (for some Shikari Shambu fun). Situated in a hill range in the South Eastern Karnataka where the Western Ghats meets the Eastern Ghats, BR Hills is your quintessential jungle adventure for those who wish to enjoy nature. Teeming with wildlife, BR Hills is also a protected tiger reserve and home to guar and leopards. Safari rides along naturalists twice a day is an exhilarating experience for all as we get to spot different and rare species of animals and birds. Come evening, things are relaxed, it’s time for some bonfire, a hot cup of tea and some savory snacks and dinner while we trade stories of what we spotted deep in the jungle. Are you game? 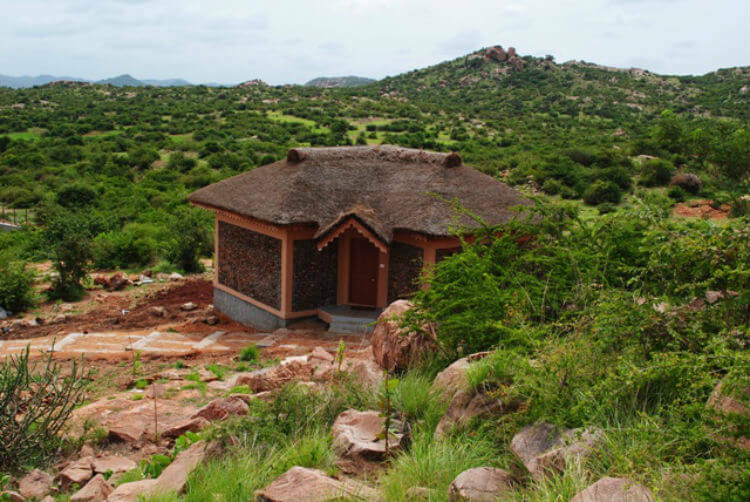 Then find out more about K Gudi Wilderness Camp stay. Nothing can beat a camping adventure, especially for the kids. The uniqueness of this adventure is in connecting with nature and for many, it is a digital detox so that they can keep the tablet aside and look at the owl that is blinking in the dead of the night. 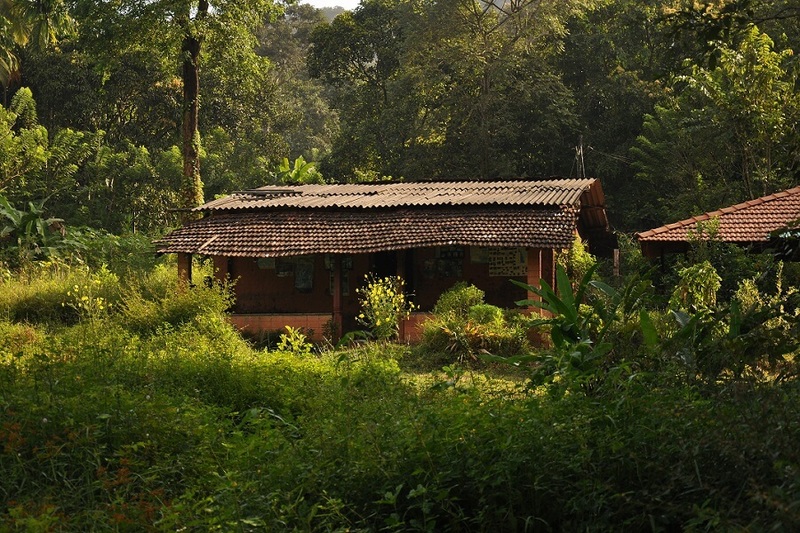 Located in the Joida Taluk (Karnataka), this Eco-friendly Homestay at Sangave is built on a three-acre pristine land situated 12 km from Dandeli. A homestay amidst a forest which is a haven for bird watching, photography and nature enthusiasts, Dandeli checks all the boxes for an adventurous holiday. The homestay offers cottages and tents as a choice of accommodation and if ‘adventure’ is your holiday goal, then you would get a lot of that here. Traditional organic food is served at this homestay and most of it grown on their own land. 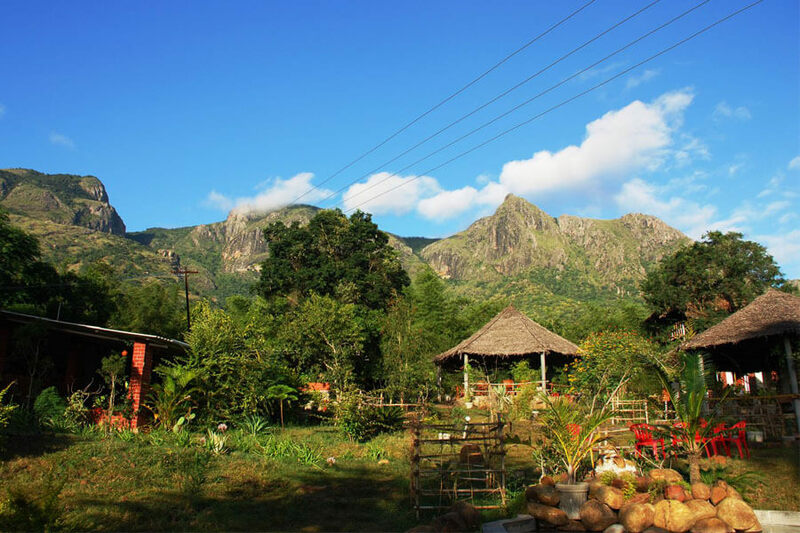 The homestay has a garden of herbs where many rare medicinal herbs, plants and shrubs are grown. Bee Keeping is yet another fascinating attraction of this place and a unique experience for kids to learn more about the intricate life of bees and honey. And after all the adventure is done, you can immerse yourself in a rejuvenating herbal bath blended with aromatic oils. Sounds inviting, doesn’t it? Do you want to re-energize yourself with something that will feed the soul and fill the heart with contentment? 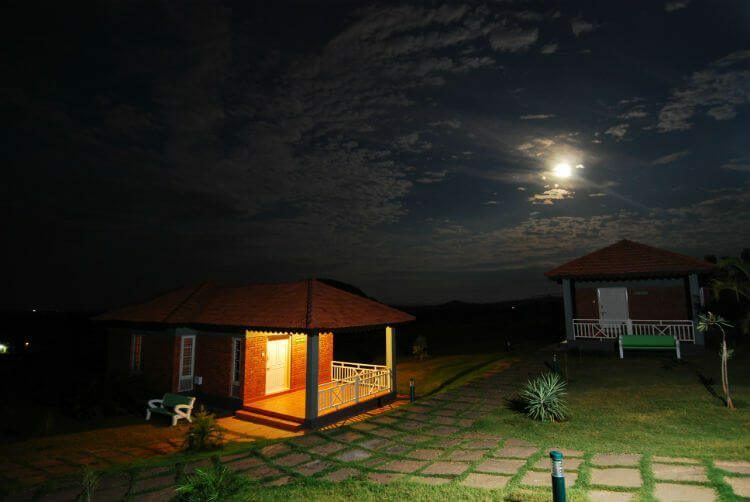 Tranquillity is the calling of Blackbuck Resort which finds a sweet spot between the Honnikeri Reserve Forest and the Vilaspur Lake in Karnataka. Free roaming blackbucks abound in the surrounding grasslands, giving the resort its name. Just when you begin to adjust to the unforgiving beauty of the surroundings, the silence as if on cue is broken by the chorus of birds. Get lost in the warps of time as you explore every hidden gem that comes with the stay at the Blackbuck Resort. The months from October to February have great weather but summer can be quite dry. Unwind in the resort by being part of this ecological haven. Are you an adventure buff who love to brush shoulders with the wild aspect of nature? 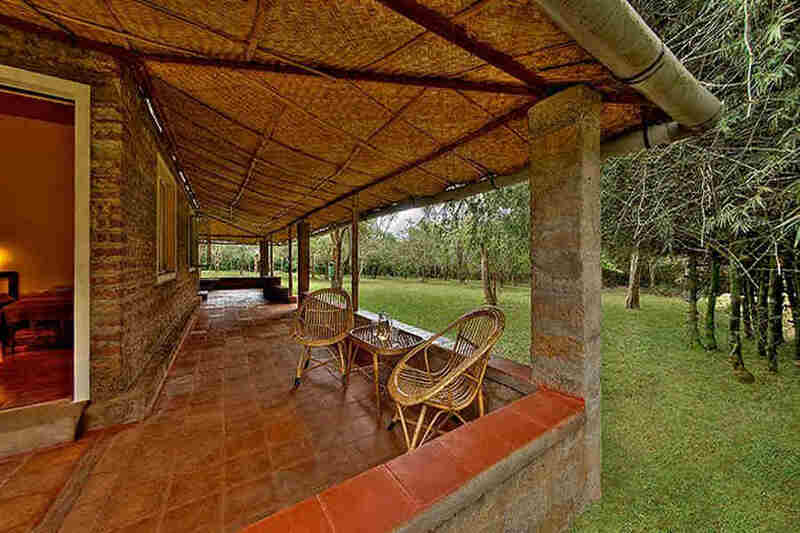 Nestled in the foothills of the Nilgiris Mountains on the fringes of Mudumalai Wildlife Sanctuary, this Jungle Resort is a family run establishment. A combination of wilderness, comfort, and serenity, it provides country-style cottages with sprawling verandahs for accommodation that offer spectacular views of receding mountains and tropical jungles. Bird watching and nature photography is a must on the to-do list. More importance is given to women tourists and corporate tours are not encouraged. The rugged mountains and spellbinding sunsets are meant to be enjoyed as seen from the Jungle Retreat. The wild beauty of the Hampi Heritage and Wilderness Resort enthralls the wildlife enthusiasts magnetically. This quaint wildlife resort located at the edge of the Daroji Sloth Bear Sanctuary is a natural habitat for the sloth bears, offering a different element of rustic adventure. If you’re lucky, you just might spot wild boars, black-naped hares, pangolins, porcupines, jackals and leopards, peafowl, spurfowl, yellow-throated bulbuls, sand grouse, quails, and stone-curlews. Are you bored of the wilderness, then temple trails, nature walks, and bird watching are some of the other activities. At the end of the day, treat yourself to a gastronomical treat with a scrumptious dinner. This Wilderness Resort is open throughout the year. July to March is the best time, as the weather is pleasant and a good time to spot wildlife. Indulge in the wilderness of nature to retreat from the tame and discover the forest by being wild and free with these jungle stay resorts. These holiday trips will not only be adventurous but you will learn to appreciate, enjoy and preserve nature.